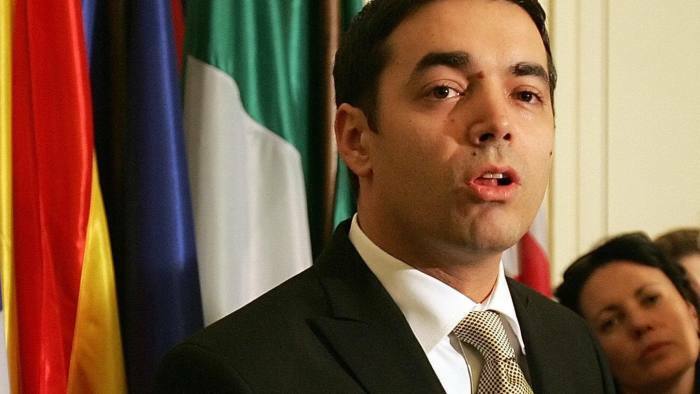 Macedonia will consider fresh proposals on its provisional name in an effort to unlock Greek opposition to its Nato membership, the country’s foreign minister has said. Membership of the alliance would help calm the wider Balkan region after months of political tension that occasionally spilled into bloodshed, Nikola Dimitrov will tell senior Nato officials in Brussels on Monday. Mr Dimitrov said it was too soon to discuss any specific name proposals but he would meet Greek ministers on Wednesday to restore trust between the two neighbours after Athens vetoed the Balkan republic’s Nato application in 2008.